In Europe, the hunt for Nazis complicit in the Holocaust still continues 71 years after the end of World War 2. And in Germany, they’re using a new reconstruction of the Nazis’ most famous extermination camp, in virtual reality, to better prosecute the men and women who may have escaped justice for all these years. 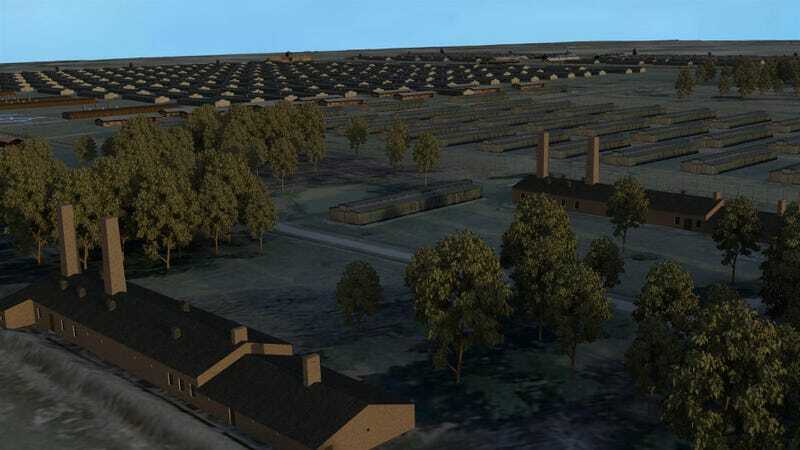 A team from Bavaria’s State Criminal Office (LKA) travelled to Auschwitz in 2013 in to collect data and have spent the last few years building a precise reconstruction of Auschwitz as it was in 1945. Directly after World War 2, Allied forces destroyed some of Auschwitz’s most notorious and awful facilities. That destruction has sometimes made it difficult to cross-examine suspected Nazis. The LKA’s reconstruction allows users to slip on a VR headset and walk through Auschwitz. One can climb up guard towers and survey the camp or examine site lines from one oven to the next. When a suspect denies they could have seen a particularly heinous event at the camp, the prosecution can point to the evidence provided by the LKA’s reconstruction. The LKA’s VR world isn’t quite as detailed as the real one—it’s not of the same quality as a photograph. Yet the spatial awareness it provides seems invaluable. “The model can be used in trials to counter the objection of suspects who claim that they did not witness executions or marches to gas chambers from their vantage point,” Jens Rommel told NBC. He’s a prosecutor for the German Central Office of the State Justice Administrations for the Investigation of National Socialist Crimes. That’s the government agency that hunts down and prosecutes Nazis.